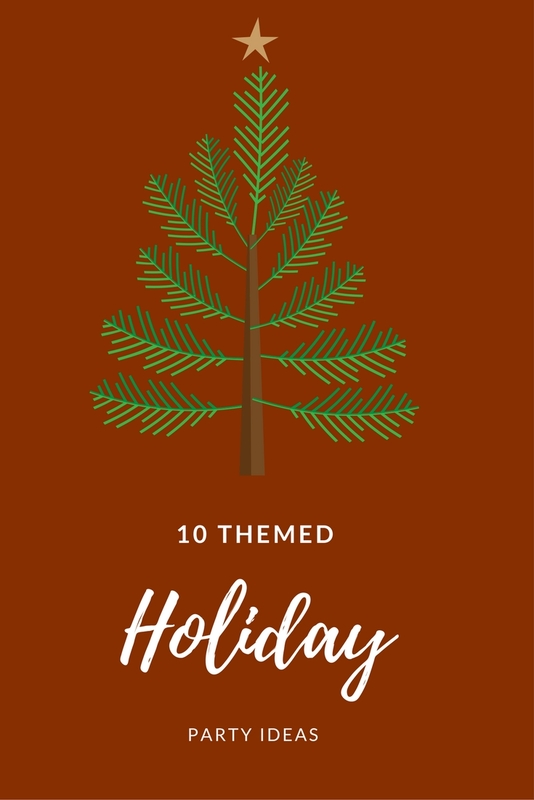 With the official countdown to Christmas now underway I thought it would be fun to share 10 themed Holiday party ideas! These would be great for groups of friends or families for something a little different than the traditional Christmas party. Invite your friends over & have them bring their favorite holiday movie- write down all the titles and pull one out of a hat, that will be the movie you watch! Supply festive holiday treats like hot cocoa & cookies! Make a batch of plain sugar cookies or buy some pre-made- put out bowls of frosting- sprinkles and other cookie toppings for everyone to decorate with! Have everyone bring their favorite bottle of wine and do you your own wine tasting party! Have cheeses and different snacks set out for everyone! Make a little score slip for people to rate the wines. Ask everyone to make their favorite dip- Set out bowls of different breads, crackers, and chips to pair with. This is a very yummy party. This one was actually Kyle's idea! Have a karaoke party with all Christmas songs- everyone knows the lyrics to these! We did this last year & it was so fun. Have everyone shape their pizza dough like Christmas trees, ornaments or snowmen & decorate them with the toppings accordingly. This one is super popular- I like the idea of making people have DIY ugly sweaters- It's way more fun that way! Allow people to vote for who has the ugliest sweater. We also did this last year and loved it. Buy a bunch of the pre-made gingerbread houses & set out all sorts of different frostings and candies- put a time limit on how long everyone has to complete their house. Have everyone cast their votes for the best one at the end! Pick a family to sponsor with your friends & spend the day shopping for & wrapping gifts up for the family. This is a great way to give back this season! You could also all grab a tag off one of the gift trees and shop together for those gifts. Grab some canvases & paint on sale at your local craft store & have people bring some wine & brushes! You can have your own DIY paint and sip right at your house! Pick a fun holiday-themed picture to paint such as a Christmas tree. Those all look so fun! I love a good ugly sweater party! These are all great ideas! I think a Gift Wrapping Party would also be fun! I think a wine tasting party would be right up my alley. I’m all about all of these! I think several would be fun to pair together too! These are really great ideas! I will for sure save this!! Wine tasting party is such a great idea! I'm having a Christmas PJ party with my friends. Can't wait! this is so fun! I love all of them! I love all of these idaas, SO fun! I love all of these ideas! I really need to start hosting more.